Phew! We’ve had a busy time of it recently at the AIA. We are well into our current season of Anster Nichts and have enjoyed two highly entertaining talks from King James IV Professor, Chris Oliver, and Stephen Marshall from East Neuk Organic Brewing & Distilling. This Thursday 15th November we welcome Claire Robinson, Collections and Exhibitions Curator in the University of St Andrews Museum Collections Unit, who will talk about the University’s Art Collection. The All Ages Café came to a successful close on 13th October and is now suspended until after the Phase II capital works on the halls are complete. We are hoping that building work will start in Spring 2019 and the halls will be open and ready for business again in 2020. The monthly Café will re-launch then, with a later slot. Watch this space! The 2018 Anstruther Writing Awards produced some excellent work and our winners are: Adult Poetry – Linda Menzies; Adult Short Story – Fiona Thackeray; Secondary Poetry – Orla Campbell; Secondary Short Story – Rahima Nazir; Secondary Reflective Writing – Aidan Howie. The Primary winners will be announced at a school assembly on 21st November and publicised shortly after. We would like to thank all the entrants to the Awards, we love receiving your work and are amazed at the talent in our community. We also partnered with Waid Art team to run another wonderful exhibition of S3 self-portraits. The quality of work produced was inspiring and the exhibition was very well attended, with prizes awarded to Rhia Campbell, Fay Cardigan, Julia Haehner, Reece Hall, Connor Otto and Scarlett Penn-Ripley. Meanwhile, outdoors the AIA volunteer gardeners have been busy tidying up the AIA’s bed and preparing it for winter. We were delighted to have played a part in the recent Beautiful Fife Gold award for Anstruther and Cellardyke and are feeling excited for next year. The town is always looking for more volunteer gardeners, so if you have time to spare and can help, please get in touch. Last Saturday Christine Keay directed another fabulous Vintage Day at Dreel Halls. This is a key fundraiser for the AIA and a wonderful community event. So many people are involved in making Vintage Day happen and we would like to thank everyone who helped out – from kitchen staff to stall holders and everything in between. The day raised over £750 to keep our community halls open and continue to run the events and activities we put on. Thank you. On Friday 16th at 7pm we will open Dreel Halls to the whole community for a photographic exhibition showing the impact of litter on the East Neuk’s shoreline. Christine Keay and Graham and Linda James have worked with the AIA and Plastic Free Anstruther to put together this exhibition and everyone is welcome. The exhibition is sponsored by the Community Kist, so our thanks go to Elizabeth Gordon for supporting it. If you can’t get there on Friday there’s another chance to see the exhibition on Sunday 18th between 12 and 5pm. At 6.45pm on Sunday, Anster Cinema will be screening The Clean Bin Project, an entertaining and enlightening documentary about the zero waste movement. The Cinema continues to run on the first Sunday of the month at 6.45pm. Recent screenings have been Lady Bird, I, Tonya and Rear Window. Due to the uncertainty over the closing date for Dreel Halls for the capital works, there is no programme scheduled for 2019 but the Cinema will continue to run ad hoc until closure, so keep an eye out for posters and our Facebook page. Anster Cinema was set up in 2016 and those who have attended will be familiar with Roger Sedgley, who introduced the films at the screenings. Roger was instrumental in setting up the cinema and joined the AIA committee in 2016, continuing to programme our seasons and oversee the cinema. Roger died on 28th October and we will miss him enormously. He was a great colleague, with a wry sense of humour, and our community owes him a huge debt for the work he did to establish our cinema. Sharpen your pencils, put pen to paper or get typing, it’s time to enter the 2018 Anstruther Writing Awards! Categories for various writing styles, Anstruther Primary, Waid Academy and adults, with a stellar line-up of judges and cash prizes to be won. What are you waiting for? You can get your ENTRY FORM here! The new season of Anster Nichts public talks have been announced. We hope that you enjoy them. You can view the upcoming talks at the following link. The AIA’s AGM will be held at Dreel Halls on Thursday 31st August 2017 at 6.30pm. Please come along to hear what the committee has been busy getting up to in the past year, and plans for the future. Following on from the AIA’s AGM, at approximately 7pm, we will welcome the team that led the Anstruther Burgh Survey, a year-long project involving the Anstruther, Kilrenny and Cellardyke community. They will be available to discuss the project in depth and answer any questions, and will launch the book that has been published to mark the project, which will be available to buy. The project enabled volunteers to discover and engage with their heritage, exploring the origins and evolution of the burghs through archaeology and historical research. It was part of the Heritage Lottery Fund’s Townscape Heritage Initiative and Historic Environment Scotland’s Conservation Area Regeneration Scheme, led by Fife Council in partnership with Fife Historic Buildings Trust. The survey was delivered by Rathmell Archaeology Ltd, who provided support for the individual volunteer and community archaeology projects. 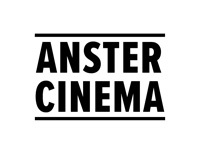 Anster Cinema’s new season of films has been announced. The programme is currently being distributed around Anstruther. You can see the listings of upcoming films at the link below. Our next Anster Nicht is on Thursday 16th February at Dreel Halls at 7:30pm. Anthropologist and National Geographic Society Explorer, Dr Sabine Hyland, talks about her work in the Peruvian Andes and discusses what it is like to work with National Geographic for a documentary about her research. Sabine will talk about her search for ancient khipus – the mysterious knotted cord texts that served the Incas instead of writing – and her discovery of remote Andean communities where khipus were used as writing until 60 years ago. A resident of Anstruther, Sabine is a Reader of Anthropology at St Andrews University and is the author of numerous books, most recently The Chankas and the Priest: A Tale of Murder and Exile in Highland Peru. If you are not yet a member of the AIA you can attend individual Anster Nichts for £2.50 per event. Membership is £7.50 and will allow you to attend all the 2016 Anster Nichts and the Christmas Social. Celebrate the return of the light this Sunday at Dreel Halls! The ancient festival of Imbolc marks the half way point between the winter solstice and the spring equinox – as the first few small signs of the new season emerge from the soil, join us for readings, afternoon tea and candle-lighting ceremony. The event starts at 2pm. Anstruther & Cellardyke in Bloom will be holding a coffee morning fundraiser on Saturday 28th January in Cellardyke Church Hall at 10am. This is the group’s biggest fundraiser and we need all the support we can, so bring all your friends for cake and a blether, and help us to keep Anstruther looking blooming wonderful!